In our attempt to promote new talent, Radio Trapezounta Boston proudly presents "Akis Pantzouris & Giannis Eleftheriadis: The Interview" live this Sunday, March 25, 2018 at 1:00 pm (Boston USA) and 8:00 pm (Greece) via Facebook Live on our group page (video and audio feeds). This will be our third live interview! 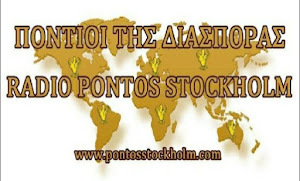 Please join us as we talk with Akis and Giannis and of course enjoy lots of great Pontian music!